It's funny how much kitchen tools have changed since I was a kid. I can remember when my mom got her first blender, and she didn't get a microwave until I was an adult. She had a countertop broiler that I'm sure was a fire hazard. And I don't ever recall her using a thermometer. Not for meat, not for anything. Somehow we managed not to eat undercooked turkey, but overcooked meat sometimes happened. Now, it seems like I use a thermometer just about every day. Or at least every day that I cook. I use it to check meat temperatures, and I use it when I'm making fiddly things like candy or custard. Or when I'm making sure I'm not killing the good bacteria when I make yogurt. 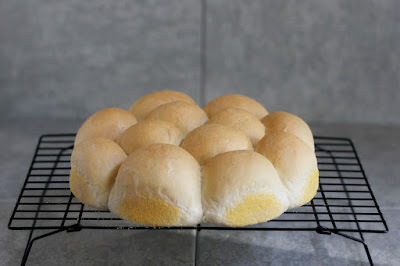 When I'm making bread, I can be a little ... imprecise with my temperature-checking, but I'll have to admit that things often turn out better when I am paying attention. When proofing yeast, or when I'm giving it a head-start in warm water, the yeast like a temperature of about 110 degrees. A little lower is fine. 110 is safe. But when temperatures rise too much hotter, yeast goes from happy and frolickly to cooked and dead. But did you know that you can also test whether your bread is done based on internal temperature? A lot of recipes suggest thumping on the bottom of the loaf, or going by time and crust color. That's fine if you've got a lot of bread experience or if you don't have a thermometer handy - but these days, doesn't everyone have a thermometer of some sort? Sweet and enriched breads are done baking when they're somewhere between 190 and 195 degrees. Regular white bread is done at somewhere between 195 and 200 degrees. 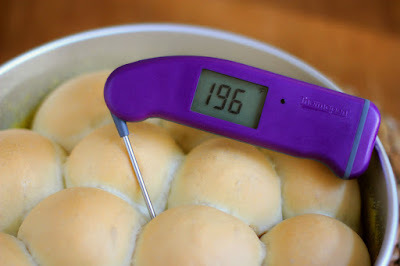 It's much easier to stab a loaf of bread with a thermometer to read the temperature than it is to turn a hot loaf out of a pan to thump its bottom. I've owned way too many thermometers over the years. Way too many. I actually have a box of them tucked away for the next garage sale. But a while back, after a turkey said it was done too quickly because of a faulty cheap thermometer, I decided to invest in something better. Yup, I bought a Thermapen. 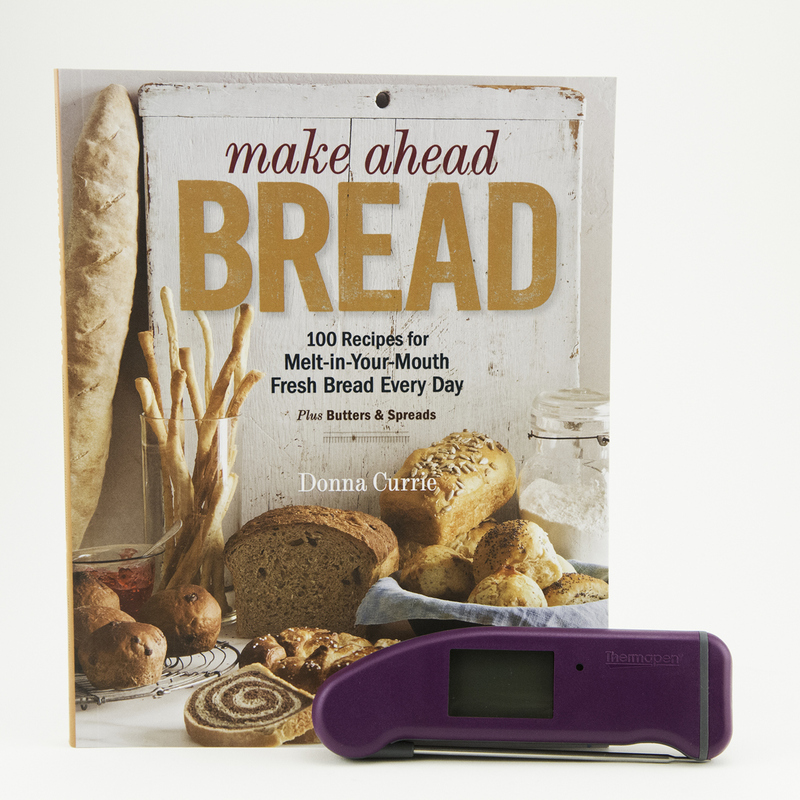 Now, the nice folks at Thermapen have sponsored this post, and one lucky reader will get a brand-new Thermapen AND an autographed copy of my cookbook, Make Ahead Bread . Plus, there's a recipe here. Because I like recipes. And bread. This one isn't a make-ahead version. Instead, it's a slightly speeded up version, with a shorter first rise. Mom wants you to make these for you for Mother's Day. And then leave the Thermapen for her. Because Mom needs a good thermometer! Combine the water, sugar, and yeast in the bowl of your stand mixer. 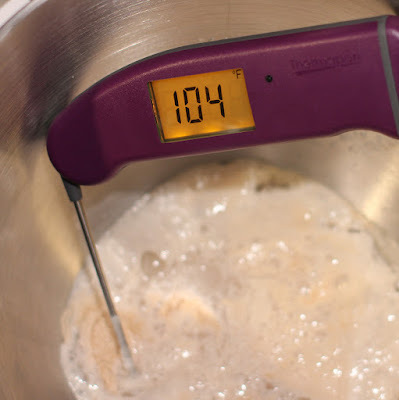 If you start with 110-degree water, it will drop a few degrees when you put it in the mixer bowl and add the sugar and yeast. That's fine. 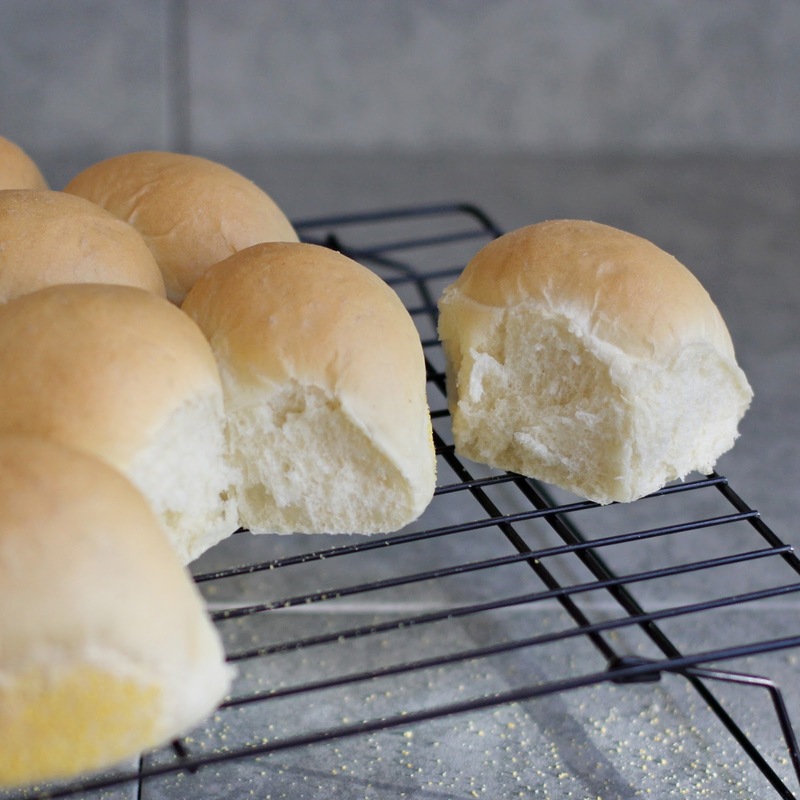 While proofing isn't really necessary if you know that your yeast isn't old and dead, it does give the yeast a little jump start, which means that the bread tends to rise a bit quicker. You don't always want a fast rise because a slow rise gives the buns more flavor. 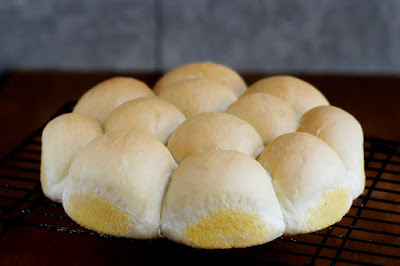 But in this case, the buns have extra flavor from semolina flour and from butter. Let the water-sugar-yeast mixture sit for 5-10 minutes until it's frothy. Add the bread flour, semolina flour, salt, and butter. Knead with the dough hook attached to your stand mixer until the dough is elastic. Remove the bowl from the mixer, cover, and set aside in a warm place for 30 minutes. the goal is to find a place that's about 90 degrees. Meanwhile, spray a 10-inch round cake pan - or anything similarly sized - with baking spray. It's not necessary, but it's extra insurance. Sprinkle cornmeal on the bottom of the pan, if you like. And onto the sides, if you like. Again, it's not necessary, but I like the flavor and crunch. 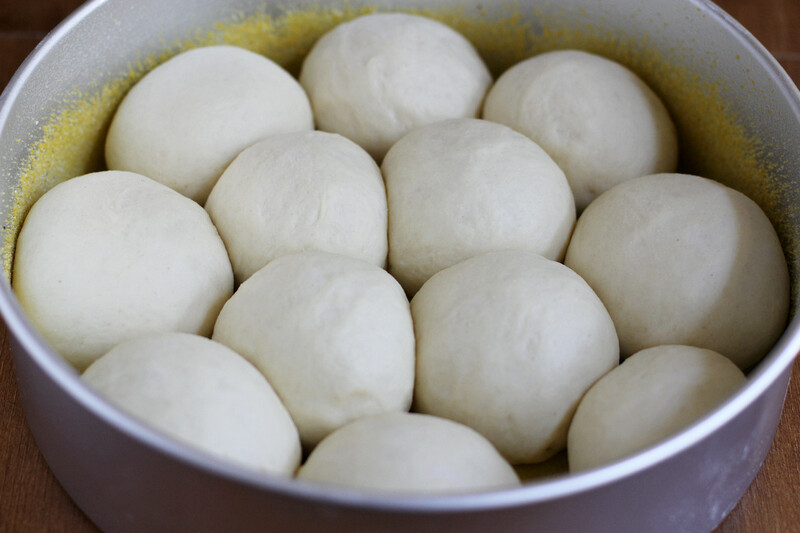 Divide the dough into 12 roughly equal pieces and form them into balls. Place the balls in the pan so they're somewhat evenly spaced. Cover the pan and set aside for 30 minutes. The buns should double in size and fill the pan. When the buns are risen, remove the cover and bake for 25-30 minutes, until the buns are golden brown and the internal temperature is about 195 degrees. Remove the pan from the oven, flip the buns out of the pan, and let them cool completely on a rack. Well, okay, you can rip one off and sample it while it's warm. Or three. I won't judge. The nice folks at Thermoworks have graciously offered to give away one of their amazing Thermapens, and I've thrown in an autographed copy of Make Ahead Bread as well.